Which Galapagos cruise has an onboard Expedition Photographer? 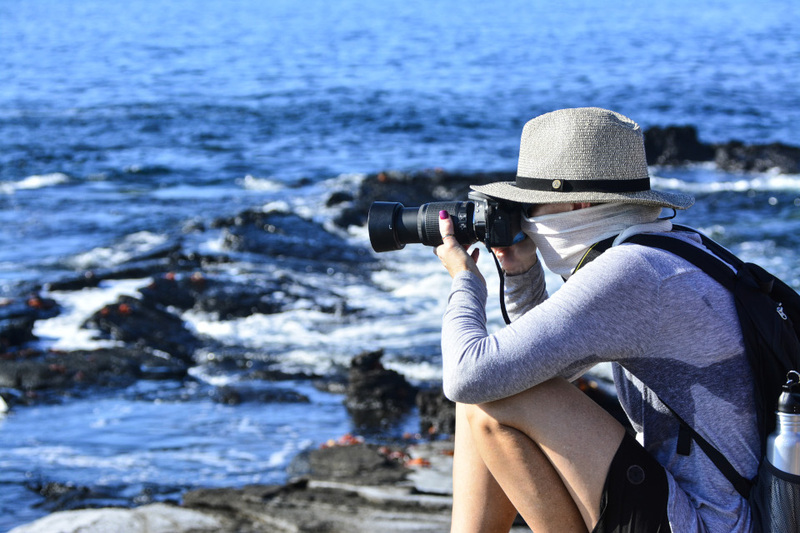 BlogHome » Blog » Which Galapagos cruise offers an onboard Expedition Photographer? 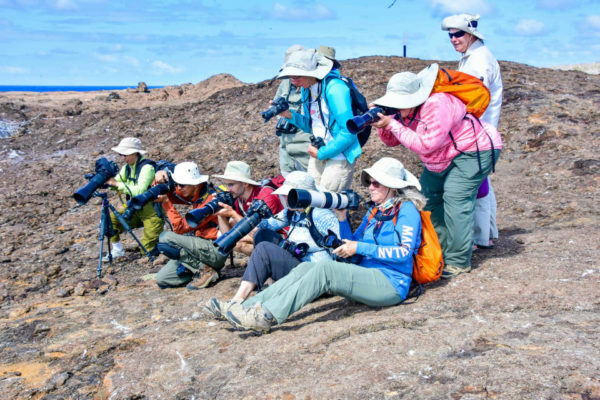 An extra perk of booking your trip to the Galapagos Islands with the Santa Cruz II Galapagos Cruise is that there is a professional Expedition Photographer on duty! 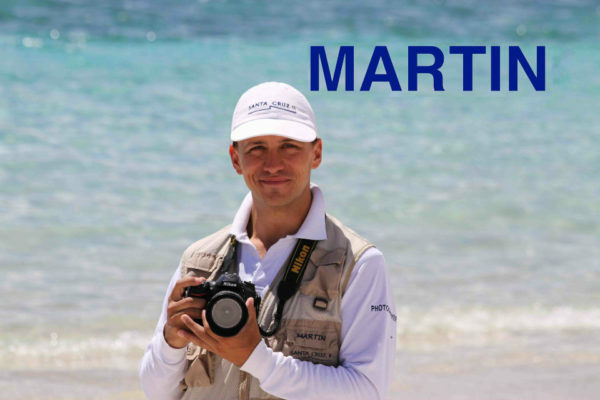 Introducing one of our onboard Expedition Photographers and author of this very blog, Martin Barreiro! The Santa Cruz II is one of the largest boats that sails around the Enchanted Isles, with cabins and ample room for up to 90 guests and a staff of 60 crewmembers aboard this 210-foot (64-meter) long Expedition Vessel. It has certain advantages over smaller boats in Galapagos, too. The first and perhaps the most evident one is that the Santa Cruz II is physically bigger, and therefore it is more stable and moves (or rocks) much less with the waves and currents of the ocean. There are big social areas, too, such as our library, which has a flat screen TV, a projector, coffee station (that can prepare 10 different types of caffeinated drinks at the touch of a button! ), mini-library (a selections of books for you to borrow at no extra cost) and multiple couches, chairs and tables to lounge out at. The Santa Cruz II even has its very own gym, 2 hot tubs, a 24/7 Medical Officer onboard and a Discovery Room (with games and movies) for the kids – all of which are luxuries that you simply would not have on a smaller boat! Put that selfie stick* away! We’ll take care of capturing the perfect picture for you! *Please note: Selfie-sticks are strictly prohibited in the Galapagos Islands, as per the Galapagos National Park Rules. Another important benefit that adds a tremendous amount of value to our guests’ experience (and which they get to enjoy at no extra cost!) is the perk of having a professional onboard photographer as part of their Galapagos cruise and excursions. With the Santa Cruz II, our guests are always delighted to find that there is a full-time, professional Expedition Photographer that will be accompanying the group as they embark on the wide variety of excursions that are offered throughout each itinerary. The Expedition Photographer is also available for certain optional activities, like kayaking and even snorkeling (with waterproof cameras and all)! When you are on the hikes, you and your family can have a beautiful picture taken by our professional photographer at any of the natural wonders that are to be found in this amazing place. The photographer will also be available to take pictures of you kayaking or even zipping up the highlands on a mountain bike, always making sure to capture the magic of the moment! And what’s more? A professional video of your underwater adventures awaits, as our Expedition Photographer will be snorkeling around you in an effort to capture all the amazing wildlife under the sea, with you front-and-center! Sharing is Caring: All the Expedition Photos, right at your fingertips when you get home! The best part is that, in the event that you do decide to allow the onboard Expedition Photographer in Galapagos to take any pictures of you and/or your family, you will have access to all of the images that are shown as part of our slideshow presented at the end of the cruise. This slideshow will present our guests with pictures of everyone who wanted their picture taken, along with some shots of the extraordinary landscapes of the places that you visited, and pictures of the unique and remarkable animals that continue to make the Galapagos Islands so incredibly special. Short video clips of the underwater snorkeling adventures will also be a part of these slideshows. Everyone comes prepared to snap photos in the Galapagos, but we’ve got you covered with our batch of photos, too! With all that said, it really is a huge treat to get to look back on and conclude your Galapagos journey aboard the Santa Cruz II this way. We always enjoy watching as our guests admire and revel in the treasure chest of experiences and memories they’ve created throughout their trip with us. And the added value goes even further as you get to have access to all of this material, completely free of charge (personal tips are always welcome! ), by simply leaving your e-mail address with us! A few days after the end of your trip, we’ll be sure to send you a link to all the high-resolution images that we managed to capture on your particular itinerary. Once you are back home, you can easily print and frame any one of the images you want to show off! So get ready to immortalize all of the happy memories of the awesome Galapagos vacation you experience when you hop aboard the Santa Cruz II Galapagos Cruise – one of the few ships in Galapagos that offers an onboard Expedition Photographer! Martin Barreiro, born and raised in Quito in 1982, began studying photography as soon as he got out of high school. Soon after this, he found himself with the opportunity to live in London, England, which is where he continued his career in photography while experiencing the European culture. Afterwards, he moved to Houston, Texas, where he got a degree as a Professional Commercial Photographer. previous post: What types of spaces are available for kids on the Santa Cruz II?